The Brighton Bathroom Company specialise in the supply of bespoke and Luxury bathrooms and Bathroom design in Sussex and across Kent. Choose from an exquisite selection of bathroom and wetroom features in order to create your dream bathroom with the help of the professional team. The Brighton Bathroom Company offer truly bespoke design solutions, inspiring excellence in every new bathroom created. Where bathrooms in Hove are concerned, the team use extensive local experience in order to combine unique interior design methods and modern space saving techniques to create a stunning array of bathrooms to suit individual client needs. 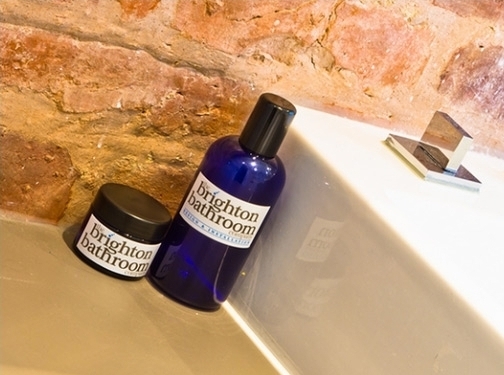 The team take specific client requirements into account, helping them choose the exact style of bath, wetroom features, taps, accessories, finishing touches and more in order to make The Brighton Bathroom Company the number one design bathroom company in Hove. For a wide range of unique solutions, from Luxury Bathrooms in Brighton to wetroom design in Hove and further afield, look no further than the experienced team at the Brighton Bathroom Company. Get in touch today or visit their website for more information on the services provided. UK (Brighton) based business providing bathroom design and installation services, as well as bathroom products. Website includes details of products and services provided, work examples, "meet the team" page (About), geographical areas covered, full contact details including company registration and VAT numbers.